At TeamFed, we use only the highest quality materials for our synthetic lawns, artificial/synthetic grass and backyard putting greens. Our materials set the industry standard for performance, looks, durability and environmental consciousness. All our golf putting greens are made from the finest artificial grass. 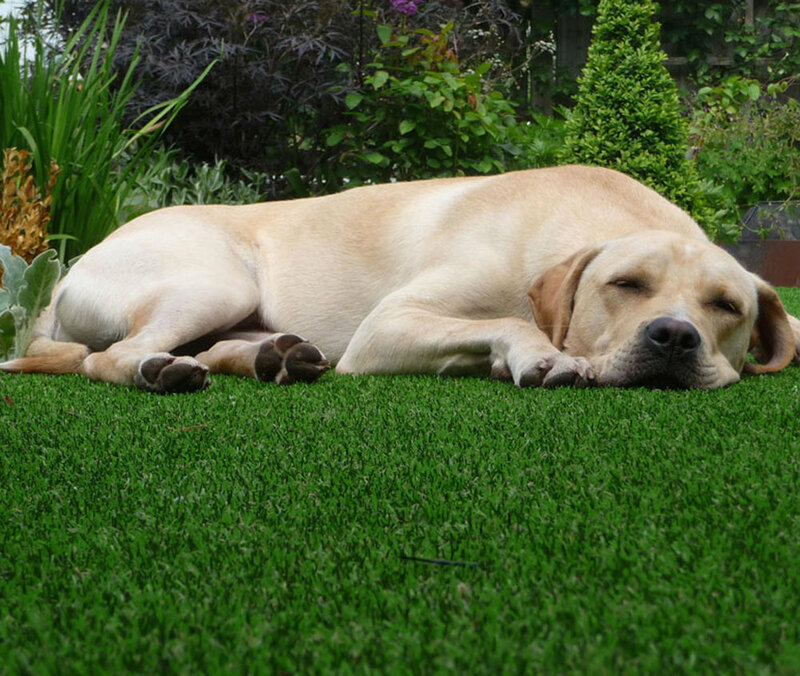 We also offer lawn turf grass and many other artificial grass products, including our durable pet turf. Our installations remain green and pristine year-round, no matter the weather. They require no watering, fertilizing or mowing... ever! Our pet turf is designed to simulate the actual look, feel and performance of natural grass. It won’t fade in the sun, requires little-to-no maintenance. Dog waste can discolor or stain normal grass, leaving ugly muddy spots and yellow grass all over your lawn. But with a quality synthetic pet turf, urine drains right through and won’t leave an odor. Droppings can be scooped or hosed off, and you can use any household cleaner to get rid of messes. TeamFed's artificial grass and lawn products can simulate the look, feel and performance of natural grass in virtually any home or business environment and under the most extreme soil and weather conditions. Our artificial grass products are designed and installed to perform in hot, cold, wet and dry climates. Artificial grass is the ideal, durable alternative for grassy areas that take a beating from heavy use, or places that are particularly difficult to maintain under normal conditions. Our artificial grass never needs to be mowed, watered or fertilized and looks great year-round. You will be able to putt, chip, bump and run on one of the most realistic advanced putting green surfaces on the market today. Each green is custom built by our trained professionals and constructed with the most durable materials available, to withstand any climate and maintain its color and performance for years of enjoyment. Wear is extremely minimal - natural grass can not compete. Our custom options for your backyard golf greens let you build a green that’s right for you. Lowering your handicap while spending time with friends and family has never easier. TeamFed only installs artificial grass products that are superior quality, long lasting and environmental-friendly.